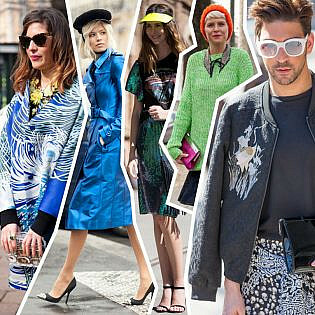 We recap the 2015/16 retail trends worth incorporating in your Spring and Summer looks. From the girlish to the glamorous, it’s a sartorial story worth studying. Looking for a dress that is no fuss but plenty of frills? The new boho, lightweight and feminine dresses are a must-have for your wardrobe this season…. Spring Racing Carnival is back for another year, and we can already tell, thanks to this year’s colours and trends, that the outfits are going to be even more fabulous than the years before. 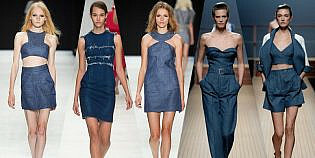 This season, fashion and comfort have morphed. Yes, that’s right, you can finally take a break from those beautiful, yet impractical, skyscraper heels and opt for something functional and super cool: the statement sneaker…. If you were/are onesie mad, then you will love the fresh new take on the trend, the introduction of the boiler suit! The boiler suit is the ultimate follow on of the jumpsuit or the onesie and is really making a statement and fast becoming the must have Autumn/Winter 14-15 key piece! 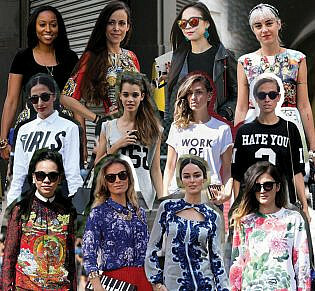 Artwork Prints definitely appear to be the must have trend for spring 2014. 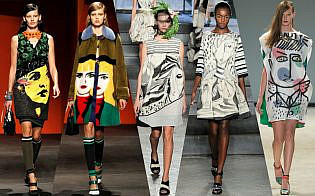 Fashion is all about creativity and the bright brushstroke inspired pieces that have been sent down the S/S2014 runways are certainly not lacking in imagination…. 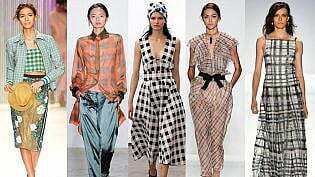 Oriental Prints, Text Tshirts and Byzantine Prints are the latest fashion trends to emerge form the catwalks from around the world.